Throughout the years, it has been drilled in our heads that if you are plus-size, you will have a hard time getting pregnant and maybe even a harder time carrying out a healthy pregnancy. Undoubtedly, there are a few issues that a woman with a bit of extra weight may encounter during this journey. However, the risk and complications are often dramatized. If you are in this position, here are a few things you will need to know. First things first; understand that a lot of women have fertility issues and complications during pregnancy no matter how much they weigh. In fact, excess weight has only been deemed to be the cause of about 10 percent of fertility issues. Sure, incorporating exercise and making healthy dietary choices will improve the overall quality of your pregnancy, but if you haven’t made these changes yet, you can still give birth to a healthy baby. The true culprit is not your weight. Hormonal imbalances that may cause issues within your menstrual cycle are usually the cause of infertility. Hormone imbalances are a common occurrence in women of all shapes and sizes, but truthfully, plus-size women are targeted a bit more in this department. High estrogen levels are prevalent within heavier women, because estrogen can be produced by fat cells. These elevated estrogen levels can throw off your ovulation cycle, making it difficult to get pregnant. Luckily, this can be easily diagnosed and treated by a physician. 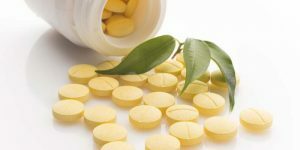 Supplementation treatment is usually enough to get your estrogen levels back on track. Because hormone imbalances often cause women to have irregular menstrual and ovulation cycles, you must pay close attention to when your body is ovulating as it may not be the same as those with normal cycles. 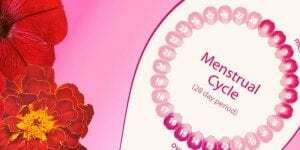 Most women ovulate about 14 days before their menstrual cycles, and the ovulation period varies per menstrual cycle. However, for those with a hormonal imbalance, this period can be a lot shorter than the average woman’s—this could mean that you are trying to get pregnant at the wrong times. Carrying extra weight can cause you to have a luteal phase defect. This malfunction disrupts the menstrual cycle by not producing the proper amount of progesterone required to get pregnant, and the uterine lining does not thicken so that a baby can be carried. The luteal phase usually lasts about 12 to 14 days, but if you have a defect, it could be a lot shorter. Having a defect within the luteal phase can not only cause difficulties with getting pregnant, but miscarriages are also a common side effect. To determine whether or not you have a difficulty in this department, a physician can test your progesterone production levels as well as your levels of the follicle stimulating and luteinizing hormones to see if any treatment is necessary. Being diagnosed with PCOS, or polycystic ovary syndrome, can be devastating. PCOS is a disorder of the endocrine system that is characterized by acne, male-patterned facial hair, obesity, difficulty losing weight, and abnormal or absent menstrual cycles. PCOS causes enlargement of the ovaries accompanied by little fluid-filled cysts that block the eggs of the female. This hormonal imbalance can cause a host of issues and is more common in overweight women. While battling PCOS may be exhausting, you still have the ability to conceive. There are certain treatment methods that are designed to help those affected, so if you suspect that you may be suffering from PCOS, don’t get down about it too much. Just visit a physician immediately to weigh your options. Trying to conceive can be a bumpy journey no matter how much weight you carry. Oftentimes, the negativity surrounding pregnancy amongst heavier women is usually due to lack of knowledge. So if you want to maintain a healthy pregnancy, you must be willing to become more familiar with both your body and the process of conception. The odds placed against you may not be as large as you may have perceived them to be.